The general consensus is that Dan J. Marlowe's “The Name of the Game is Death” and “One Endless Hour” make the best of list for the hard-boiled genre. 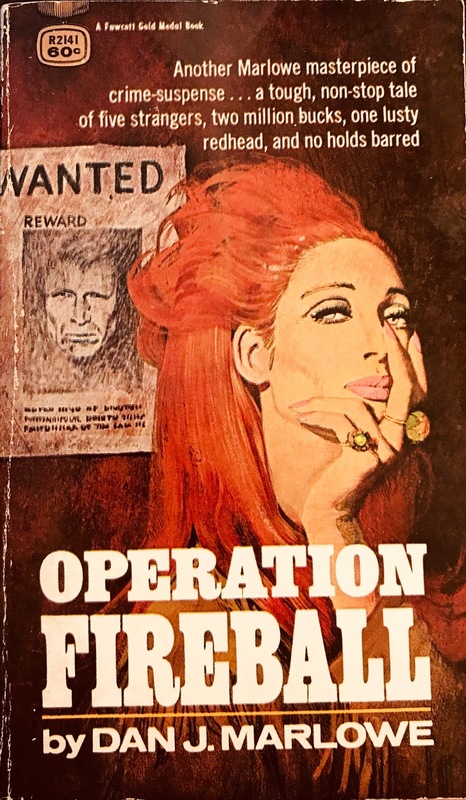 Those novels, released in 1962 and 1968, were riveting caper romps that symbolized everything we loved about the genre – peril, betrayal, guns and money. It's first person narration from the man with no name (or face!) was mesmerizing, painting a lifespan mired in corruption, vengeance, angst and adversity. While not overly complex, it was deep reading that allowed the reader a spot in the hotseat. We were staring down the barrel as much as the storyteller – the smoking gun a cautionary warning of the hot winds of Hell. While both of Marlowe's novels are held in high regard, those opinions are much weaker for the third and subsequent books of the 'Drake' series. Instead of jerking a .38 Special and navigating vault rooms, 1969's “Operation Fireball” provides M-16s, claymore mines and dodging MIG-17s. It's just a totally different style that isn't altogether bad...it's just seeing the characters on a different stage. 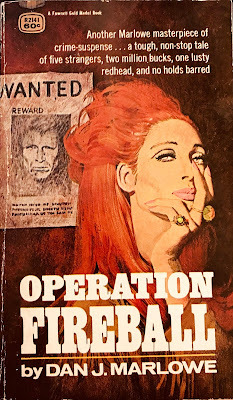 Three-fourths of Marlowe's “Operation Fireball” runs the same playbook as “One Endless Hour”. Earl Drake (his real name was never provided by the author) takes a heist job to steal millions from a Cuban military compound. Replace a Philly bank with a Cuban stronghold and you get the same strategy. The majority of the book is the assembly of players – Drake, Hazel (Drake's lover from the first two novels), Erikson, Wilson and Slater. Each have a role in the heist, complete from transmission, boats, firearms, locks and funding. The book methodically assembles the team, outlines the mission and provides the stakes in much the same way Marlowe aligned the team in the last book. It's the closing chapters that really set it apart. International waters shows a metamorphosis from caper to spy. Drake is faking his way onto a US Destroyer ship, then faking his way into the Cuban military. From brothels to bars, the team penetrates Havana while dodging firing squads, fighter jets, machine guns and mines. Essentially, it's a new breed of Drake fiction that really showcases a completely different type of storytelling. The book's ending conclusively proves that the series is taking a different direction in much the same way Bolan transformed at number 39. It isn't necessarily a reflection of poor writing, as those books and this specific book still provide entertainment and enjoyment. It's just a different way to park the horse. 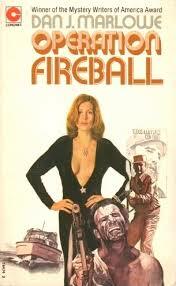 Whether you continued the series post-1968 or not, Marlowe delivered quality storytelling on “Operation Fireball”. I've yet to explore the rest of the series or any of Marlowe's stand-alones, but based on this entry, I'm probably all in.